DI3 JJ Huntingford suffered "slight abrasions"
1921 May 25. 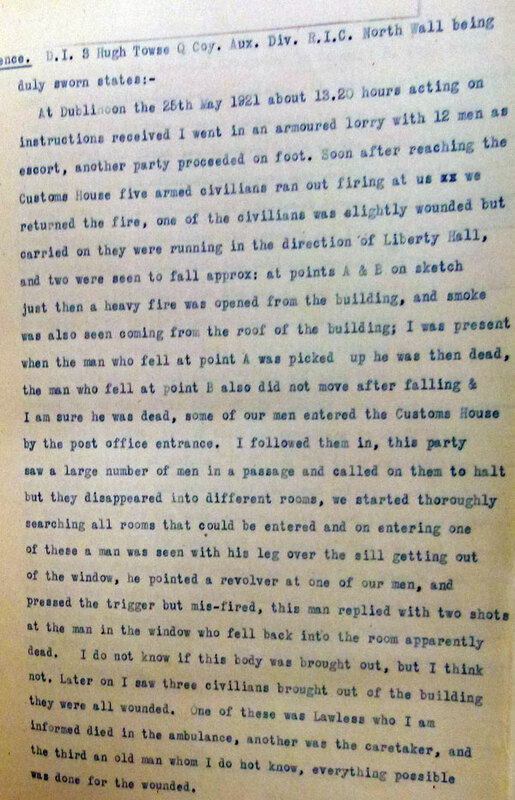 At about 13.10 hours, information was received from DMP that the Custom House had been rushed by approximately 100 civilians. "F" Company, Auxiliary Division, RIC dispatched 3 tenders plus an Armoured Car. The RIC sent h another armoured car.The leading armoured car arrived about 13.25, endeavoured to prevent the raiders escaping from the Custom House, and succeeded in covering the Southern side. 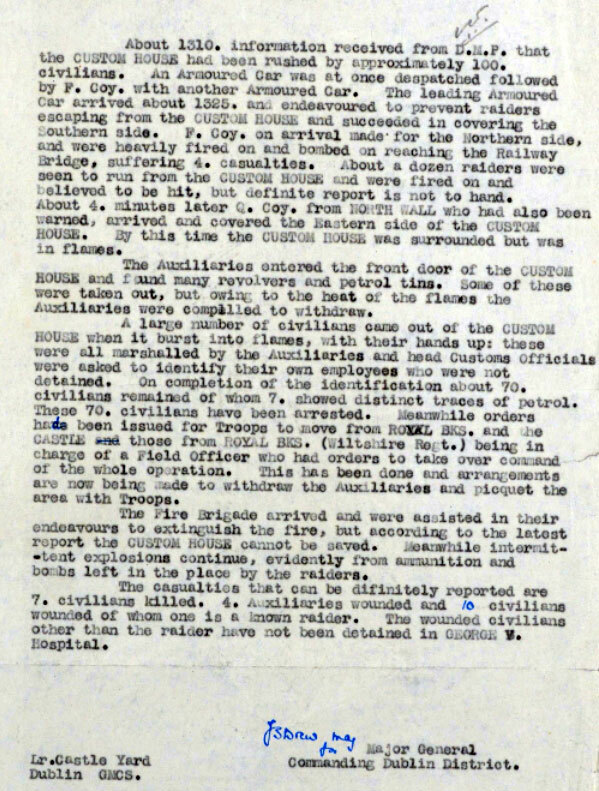 "F" Company on arrival, made for the Northern side, and were heavily fired on and bombed on reaching the railway bridge, suffering four casualities. About a dozen raiders were seen to run from the Custom House, and were fired on and believed to be hit, but definative report is not to hand. 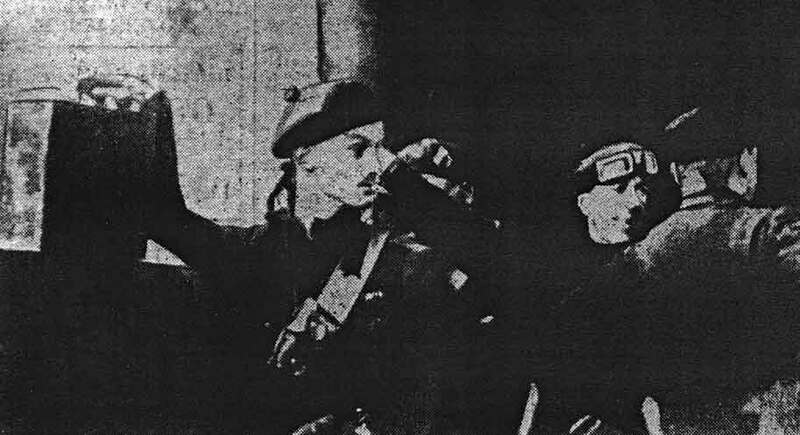 About four minutes later, "Q" Company, Auxiliary, RIC ( from North Wall ), who had also been warned, arrived and covered the Eastern side of the Custom House. 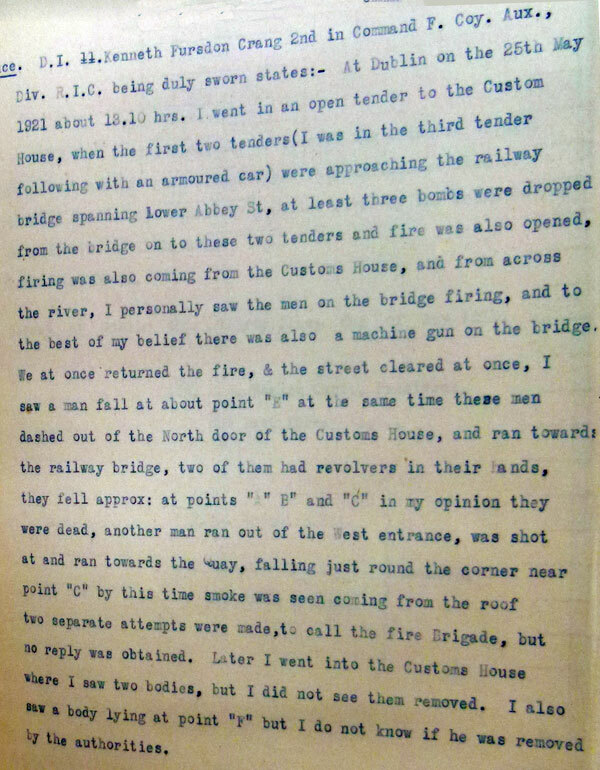 By this time the Custom House was surrounded but in flames. 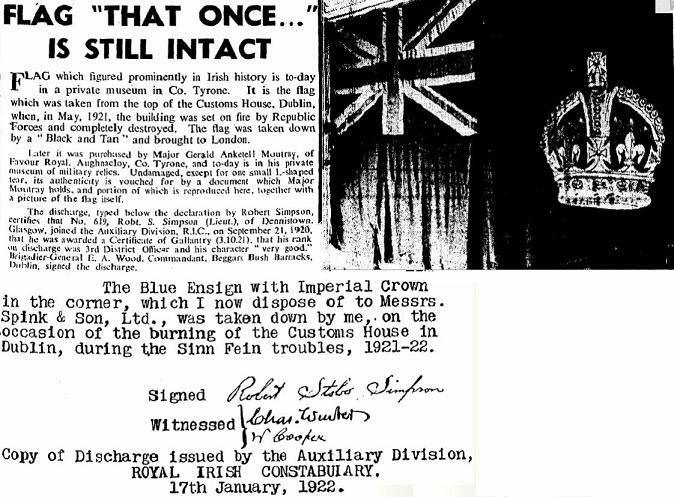 The Auxiliaries entered the front door of the Custom House and found many revolvers and petrol tins. Some of these were taken out, but owing to the heat of the flames the Auxiliaries were compelled to withdraw. DI3 JJ Huntingford - Platoon Commander F Coy - suffered "slight abrasions"